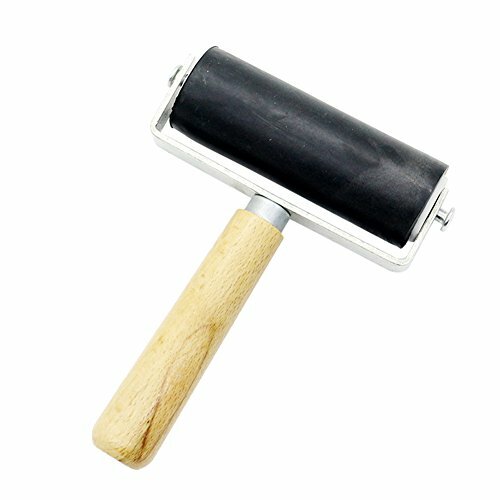 Use: Printmaking,printing,stamping,wallpapers and more.Comfortable wooden handle,durable and flexible brayer. Size: Brayer: 3.94 inches/10cm.Handle: 3.74 inches/9.5cm. Brayer: 3.94 inches/10cm.Handle: 3.74 inches/9.5cm. Comfortable and removeable wooden handle,easy to control. Durable metal frame,no bend and not easy to broken.